Dear Saint J ohn Vianney, your childhood dream was to be a Priest, to win souls for God. You endured years of toil and humiliation to attain the Priesthood. You became a Priest truly after God's own heart, outstanding in humulity and poverty; prayer and mortification. Totally devoted to the service of God's people. 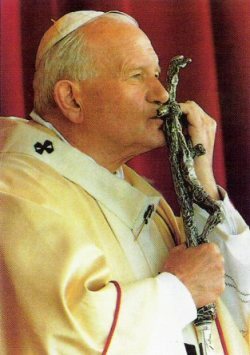 The Church has exalted you as model and patron saint of all Parish Priest, trusting that your example and prayers will help them to live up to the high dignity of their vocation to be faithful servants of God's people, to be perfect imitators of Christ the Savior Who came not to be served but to serve, to give His Life in ransom for many. 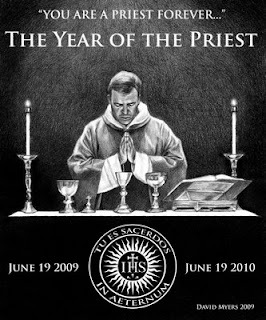 Pray that God may give to His Church today many more Priests after His own Heart. Pray for all the Priests under your patronage, that they may be worthy representatives of Christ the Good Shepherd. 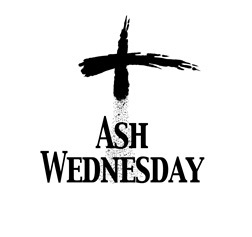 May they wholeheartedly devote themselves to prayer and penance; be examples of humility and poverty; shining modelss of holiness; tireless and powerful preachers of the Word of God; zealous dispensers of God's Grace in the Sacraments. May their loving devotion to Jesus in the Eucharist and to Mary His Mother be the Twin Fountains of fruitfulness for their ministry.